I believe there is a time and place for media in our family’s routine, but I also know that there has to be clear limits if media is not going to overrun regular activities. With a new baby in the house, things will be changing and I am sure I will be tempted to let the kids turn on a screen so that I can put the baby to sleep or get dinner on the table. However I do not want screens to be my “default” so I am thinking carefully about how I want to utilise media for everyone’s benefit. After all, shows and movies can offer ideas for imaginative play, teach kids about educational topics I am not so aware of myself, and share stories that help children understand various life lessons such as the importance of caring for others. So when we are not in “emergency times” like when mama is sick and we have no valid excuse to watch hours of shows (sigh. 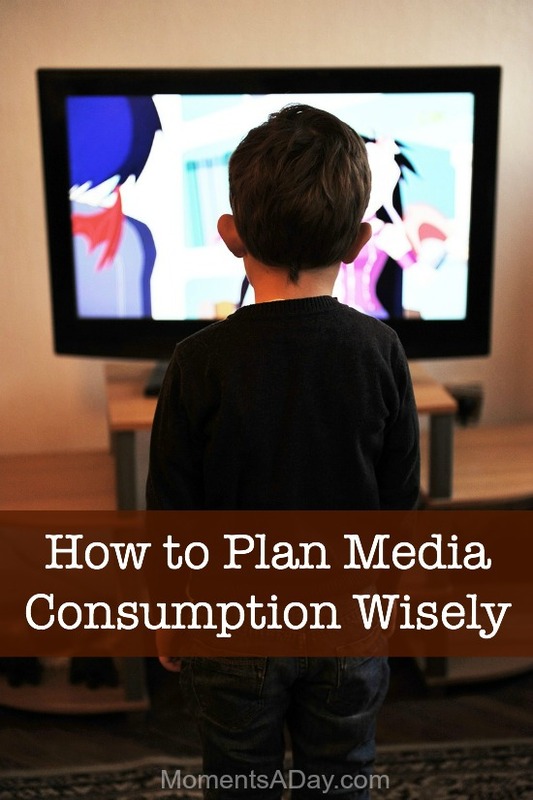 it happens), here are some tips that help me plan media consumption wisely in our home. Decide how (and why) to use media. There were times in the past when I decided on the spur of the moment to put on an episode of a favourite show to get something done… then that episode turns into a two hour marathon (I know I’m not alone here). This clearly wasn’t a good system. Nowadays I decide firmly beforehand WHAT I need to get done and HOW LONG the kids can watch, and it’s so much easier to turn off the screen. Both the kids and I know the limit. For example, if my husband is not home (he does shift work so is home only a few mornings a week) the boys know they can watch ONE show episode (15-30 minutes depending on the series) while I’m having a shower and getting dressed. Some parents decide on a certain time allotment of screen time per day, like after school or while dinner is being prepared. The key is making a decision about why you are using it and how much is to be watched… and then, of course, sticking to it. We do not have a TV so I don’t have the luxury (or temptation) to simply let the kids have control of the remote. However YouTube also offers such a huge range of options that it’s important to be mindful about what the kids are watching. I love educational shows or ones that have a life lesson weaved in to the storyline. Every few months I survey my friends for new shows/movies and it’s great to keep a list of options so we can find new media when necessary. You know what your standards are… do you approve of name-calling, fighting, or sexual undertones in shows? Find out what series of shows are in line with your moral framework, and ask for movie recommendations from like-minded friends. It’s definitely worth doing some homework to find quality stuff that your kids will actually get something positive from. That way watching whatever media you choose, in moderation, is a win-win situation! Audio stories are awesome – if you haven’t tried them and have a child who is over 3 years old, it’s definitely time to try them out!! We have been huge fans of Sparkle Stories for years now (read my first review here) and I highly recommend their audio stories as a screen-free media alternative. Audio stories engage children and at the same time leave so much room for their imaginations to run wild. The kids get to visualise what the characters look like, where they are, how exactly they do whatever they are hearing about – unlike stories in TV shows, where all the visualising is done for them. Plus instead of revving kids up, audio stories usually calm them down. My kids often snuggle up on the couch or a bean bag with a snack while they listen. We still enjoy the various subscription story lines Sparkle Stories offers (I look forward to new stories every Saturday!) but I am also very fond of using the Stories for Helping and Healing when there’s an issue one of my children is having trouble with. These stories are in the forms of “audio books” meaning there are three stories included, adding up to 1 hour + of audio material about a certain subject. 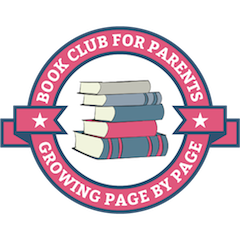 Sibling rivalry, grief, and overwhelm are a few of the topics addressed in these stories, and listening in with the kids while I’m preparing dinner or cleaning the kitchen is the perfect way for us to think about these issues and begin discussions after. There are always points my kids bring up and learn from. Purchasing one of the Helping and Healing audio books is also a wonderful way to get an introduction to the various subscription story lines offered by Sparkle Stories as well, as there are three different story lines included in each audio book. To listen to full-length story samples and learn about the different story lines offered by Sparkle Stories, simply visit this page. There’s a whole week of audio stories to listen to right there. What are your tips for keeping media in check at your home? You may also enjoy reading my list of 10 easy screen-free activities or printing out my list of 50 everyday play ideas for toddlers and preschoolers for some media-free alternatives. Thank you to Sparkle Stories for gifting me with a selection of audio stories. To find out more about advertisement and reviews on my website please click here. The TV thing can certainly be tricky! We have a no screen time until 5pm rule that the kids don’t LOVE but they stick to it and you’re right that setting a limit really seems to help.